To maximize your education benefits as a veteran or military student, we recommend you work with your VA Certifying Official and the Financial Aid Office. The VA’s Yellow Ribbon Program allows qualifying veterans the opportunity to receive a Lourdes University education. At Lourdes, you will appreciate our values-centered education and campus life programs. In addition, you will be an important and valued member of the Lourdes community. Our classrooms never have more than 30 students and we offer several quiet places to study, do homework, and receive tutoring assistance. Plus, veterans, military members and their families are welcomed at the San Damiano Campus Ministry House to gather with their fellow veterans and military students. 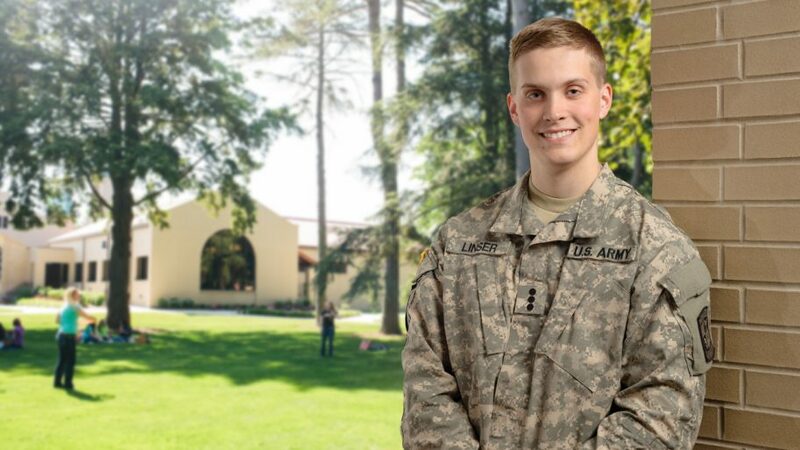 If at any time during a student’s educational career at Lourdes, he or she is called upon to serve on active military duty by the United States Government, said students would be afforded credit for tuition and fees. A copy of the student’s call-up letter must be presented and filed with the appropriate officials of the institution. In the event that currently enrolled students are called upon to serve on active military duty by the United States Government, said students will be afforded credit for tuition and fees. As an alternative to the refund of tuition, the President or appropriate designee may allow a student who has been called to active military duty to receive an incomplete grade for a course, and may extend the time permitted to complete the course for any reasonable period. With the intention of assisting such students to fulfill their active military duty obligations, the University may make reasonable exceptions to minimize the negative effects of institutional policies otherwise applicable to students who withdraw from or interrupt their course of study. Students should meet with their advisors and the Registrar to discuss options. A copy of the student’s call-up letter must be presented and filed with the Student Accounts Office, Registrar and the Dean of Student Life. *Lourdes students enrolled in The University of Toledo or Bowling Green State University ROTC programs who receive a full ROTC scholarship also qualify for a Lourdes Gray Wolf Housing Scholarship that covers 100% of their on-campus housing cost during fall and spring semesters.